Denon DJ , a leading manufacturer of premium-grade DJ equipment, introduces the DN-MC6000 Mixer and MIDI Controller, a four-channel/eight-source standalone digital DJ mixer with MIDI interface and internal sound card. 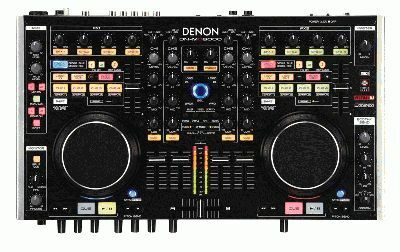 With an astounding amount of features, real-time channel matrix operation, slim tabletop design, state-of-the-art solid steel chassis construction and quality sound, the DN-MC6000 is one of Denon DJ’s flagship controllers. Also acting as an audio interface (with a 2 in/2out stereo soundcard included), the DN-MC6000, when paired with the user’s software of choice, is a turnkey control solution for mobile DJs and party DJs, and a clear centerpiece to any DJ rig. - Multiple GUI controls – Mixer, Video, Scratch, Sampler, REC, etc. The DN-MC6000 will be available fall 2010 with a U.S. MSRP of $949.99. For more information, please visit www.denondj.com.